Little Stars is a series of films about the surprisingly life-affirming stories of children around the world living with life-shortening illnesses. Against the odds, these very special kids are making the most of every moment thanks to the support of their families, in harmony with passionate 'pain and palliative care' teams. Children's palliative care is a response to the suffering of a child and their family facing life-threatening conditions. It's holistic, looking at the body, mind and spirit within the social and cultural context. It cares for the child from the time of diagnosis until death, and after death it provides bereavement support for the family. Regrettably, not all childhood illnesses and conditions can be cured. However, many children with life-limiting conditions may live for years, if not decades, if they receive care that is timely and appropriate to their condition. It is estimated that currently 12 million children around the world could benefit from pain control and palliative care, but both provision and access to services remains an issue. Children are particularly at risk of inadequate pain management due to age related factors, limited access to essential medicines and misconceptions about how to effectively treat their pain. These vulnerable children and families are suffering. They are largely invisible. But for those who are receiving care, the results are extraordinary. These remarkable stories of young people finding peace, love and joy in the face of the inevitable, challenges many preconceived notions and fears surrounding the 'death and dying' and powerfully demonstrates the transformative effect that good-services, well-delivered can have on families facing an unimaginable dilemma. You are receiving this email because eyou have either signed up to the Little Stars email list or you have previously signed-up to the LIFE Before Death mailing list. If you would not like to receive further information about Little Stars please [pbUnsubscribe]. 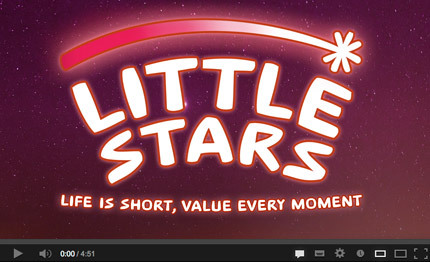 Value Every Life is the first short film in the Little Stars series, which will include a one-hour documentary for television broadcast, event and educational screenings, as well as a collection of at least 8 short films releasing from late 2013. Filming is currently scheduled in South Africa, the United States, Australia and India, with other countries in our sights including Jordan, Italy, Malaysia, China and Belarus. The first short film in the series introduces the medical specialization of children's palliative care and hospice. It features Joan Marston, CEO of the International Children's Palliative Care Network (ICPCN), and the children of Sunflower House Children's Hospice in Bloemfontein, South Africa. 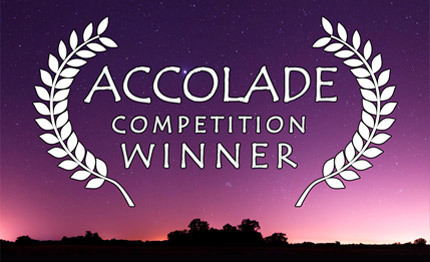 The film has just released on YouTube and we're delighted to report that it has already won an Accolade Award for the Use of Film for Social Change. Watch and share Value Every Life now! In the lead up to the release of Little Stars one-hour film in mid-late 2014, it's important for us to ensure that the films will reach as many people around the world as possible. The series of films is designed to engage, entertain, inform and facilitate positive social change, while providing a focus for events such as hosted screenings, regional premieres, conferences, educational workshops, festivals and topical calendar activities or 'days' (with a particular focus on World Hospice and Palliative Care Day, 11 October 2014, and World Cancer Day, 4 February 2015). Each of these occasions can be used to drive targeted advocacy, social action and local fundraising initiatives. 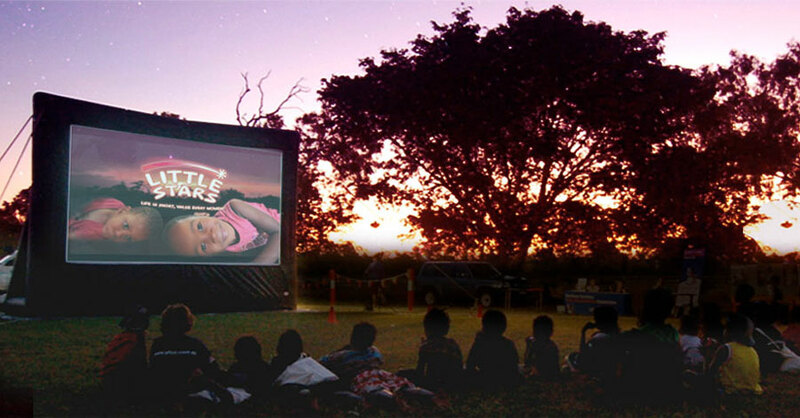 Through screenings, Little Stars will raise awareness, encourage engagement and provide essential communications tools to educate and generate positive changes at both local and national policy levels. We encourage you to get behind the project and help us band together towards the goal of ensuring that every child needing pain control and palliative care can access it worldwide, thereby relieving the suffering of children and families facing life-limiting illness. As a result, we're delighted to invite you to pledge to host a screening or to use the films for public education or advocacy. In return, we will mail you a DVD containing all of the films in the Little Stars collection at no cost at the time of release. * Please note, this is a limited offer while stocks last, so make a pledge today! If you would like to pledge to host a screening or use the DVD for public education and advocacy please click here to complete the registration form. 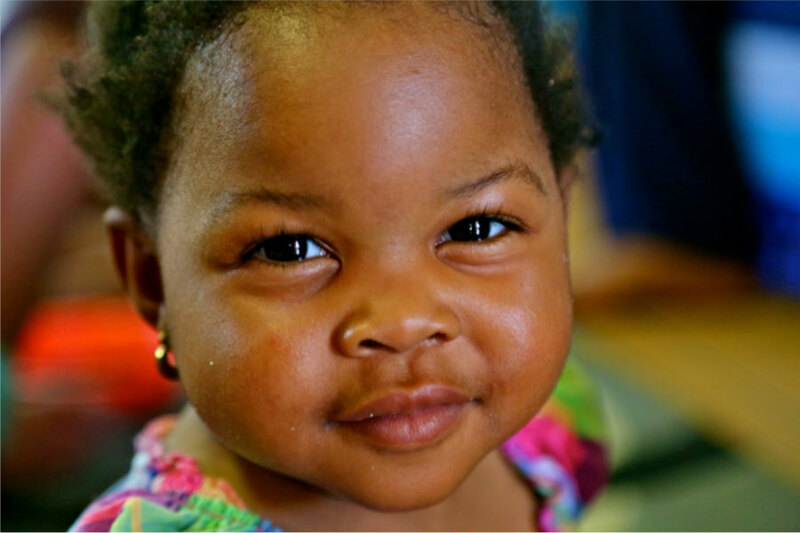 Naledi Kopane was born with HIV and orphaned by the disease at age 3. The responsibility for her care fell to her granny, who has a family of her own and was finding it very difficult to care for a terribly sick toddler (this was before antiretroviral drugs were readily available). A friend from the granny's community referred her to Sunflower House, a newly opened children's hospice founded by Joan Marston. Naledi was one of the first three children to be admitted to the hospice. One of the other children died the first night of operation. The other died the following week. Today, Naledi is 22 years old. She has stubbornly defied the prognoses of her doctors for decades. Her story is one of courage, faith and passion. Naledi has checked in and out of Sunflower House frequently since she was first admitted. She views the Sunflower staff as her extended family. Her granny confesses that there's absolutely no way Naledi would be alive today without the care provided by the hospice, which includes a 24-hour on-call service and regular house visits. Naledi fondly recollects the friends she's made at the hospice over the years and the excitement she felt when the driver used to come out and pick her up for scheduled periods of respite. 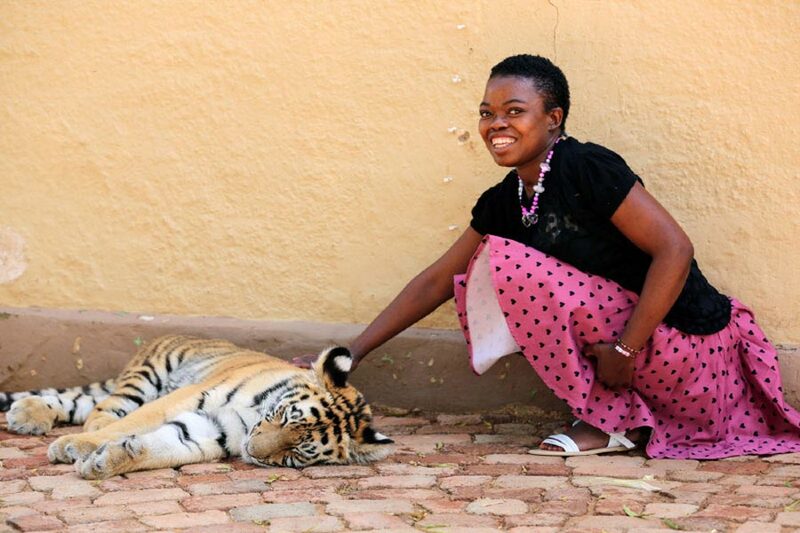 Sadly, many of Naledi's friends have passed away. She's philosophical about this and draws strongly on her faith in facing death, a possibility that is all too real to her. Over the years Naledi has faced an enormous amount of prejudice because she is HIV positive. For instance, after the principal of her school found out about her condition, all of the teachers were instructed not to allow Naledi to touch any of the books in the school. This sent Naledi into a period of isolation and deep depression. It was her lifelong friend, Olga, a nurse at Sunflower House, who pulled her out of her nadir. First Olga went to Naledi's school and educated the principal about HIV. Then she took Naledi to an AIDS fundraising concert. The concert was attended by thousands of other HIV positive people from the city – this is when Naledi realized she wasn't alone. The experience prompted a series of adventures that played out over Naledi's teenage years. Olga and Naledi took roadtrips around South Africa. Olga engineered a number of memorable experiences for Naledi over the years. One year, she was a guest of honour at Nelson Mandela's birthday party. Another, she presented flowers to South Africa's Miss Universe finalist on the tarmac of the airport. In 2010, Naledi's kidneys failed. She went into a coma for 5 months. Now she has to have dialysis three times a week. The doctors told Naledi that she wouldn't live to see her twenty-first birthday, but she did and the party she had is one of her most treasured memories. Olga was her guest of honour. Now 22, Neladi's quest is to write her life story and communicate it through South Africa's mainstream media to inspire others and help to de-stigmatize HIV/ AIDS in that country. We plan to document this quest and weave her backstory through it. Today, Neladi is a volunteer at Sunflower House and her remarkable story demonstrates a new paradigm in modern medicine focussing on care beyond cure. With the support of her 'extended family', the staff at Sunflower House Children's Hospice, Naledi is striving to realise her dream. Naledi is an attractive, articulate, passionate young woman. In her native tongue of Sesotho, her name literally means 'star'. LIFE Before Death is a multi-award winning documentary series that asks the fundamental question underpinning our mortality. The feature film has been publically screened over 300 times in 40+ countries in 15 languages reaching over 35,000 people. The TV documentary has been broadcast in 5 countries. 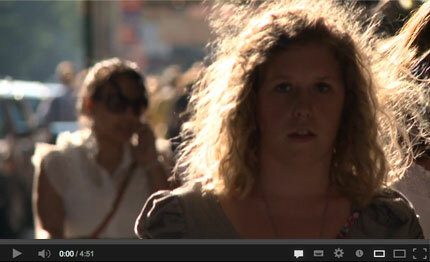 The short films have been viewed over 275,000 times on YouTube. The 2-disc DVD Box Set is being distributed worldwide and being utilized by leading universities and hospitals around the world. It is available to buy here. The project is available on iTunes and also as a free interactive study guide for iPad on the App Store. The project has won 6 awards and was announced as a finalist in the Australian Arts in Asia Awards earlier this month. 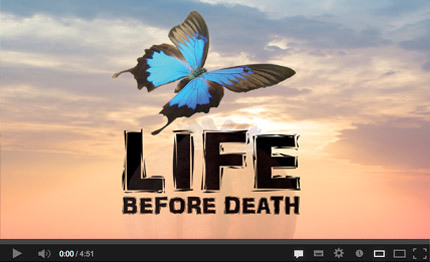 LIFE Before Death is presented by the Lien Foundation and produced by Moonshine Movies. It is also supported by the International Association for the Study of Pain, The Mayday Fund, the Union for International Cancer Control and The Institute for Palliative Medicine at San Diego Hospice International Programs, Open Society Foundations and the Pettus Foundation. The project was developed with the assistance of Film Victoria and Screen Australia and it has received in-kind support from Livestrong Foundation. For those of you receiving this email for the first time, welcome! A friend or colleague of yours has likely signed you. If you choose to, you may [pbUnsubscribe] from this newsletter at any time. However if you would like to sign up a friend please forward them this link www.littlestars.tv/subscribe where they can sign-up themselves. By sharing this email you are helping to raise awareness about children's palliative care and expanding the project's ability to engage it audience in positive social action initiatives. Deep thanks to the sponsors of Little Stars including the United States Cancer Pain Relief Committee, International Children's Palliative Care Network, Open Society Foundations and Pettus Foundation. Please note: we are currently seeking additional project partners including a Presenting Partner. If you'd like to find out more please email us. Thanks once again for your support in helping us achieve our goal of reaching the broadest possible audience so these films can do as much good as possible.